I got to shop today. I do love to shop! See what I got? Dang, that shutter still makes me smile from the inside out. And since y'all know I am into bling these days, here's a little something I got. Look! 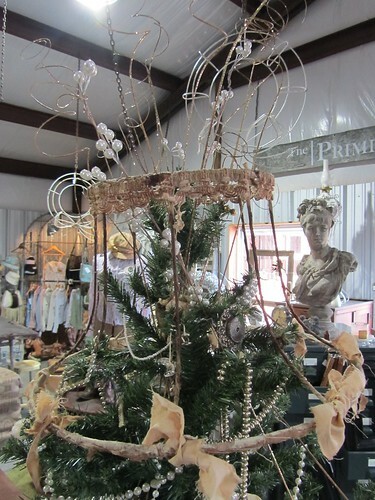 A lamp shade skeleton tree topper! No. I didn't make it. I bought it. Not easy to show in the big picture. But, check it out. Gloves. 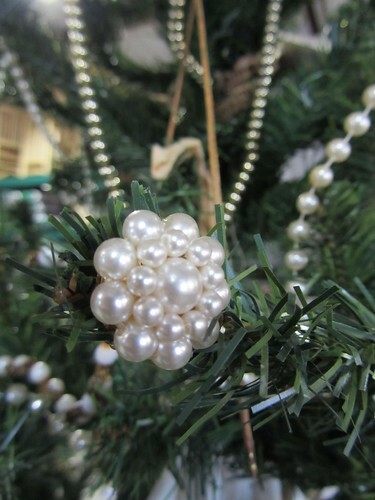 Pearl swags. Old necklaces. Brooches. Earrings. Whewy! I do love this tree! So yes, I shopped. Then, I played at The Primitique. Visiting. Fluffing. Filling space. Picture taking. It's like a grown up playground, that store! 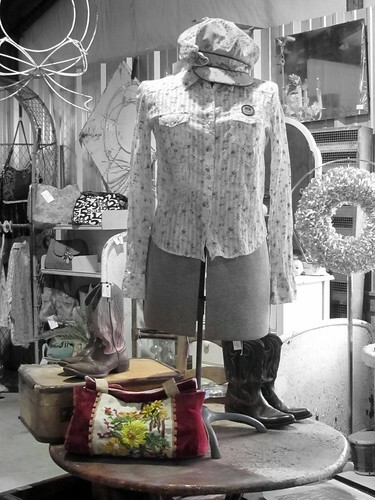 Here's a picture of some redneck chic goodness at The P.
Would you check out the colors in that rnc pocketbook? Before leaving, I couldn't help but snap this pic of our signage. 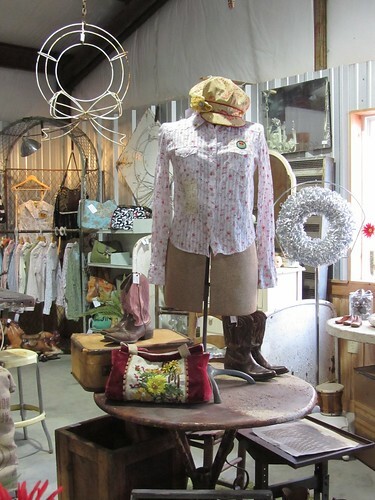 The Primitique is located inside Eagle Hardware Farm & Ranch in Royse City. 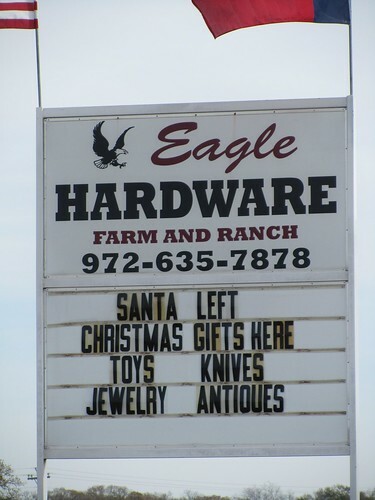 The way I see it, any place that carries toys & knives, plus jewelry & antiques has pretty much everything you could possibly need. Can I get an amen? Looks lovely! That's some fancy photography you're doing. I like it! Glad you had fun shopping and fluffing today. Oh, you're going to have to show me your photography techniques! XO! Ohhhhh, I am feeling that pull to your shop! 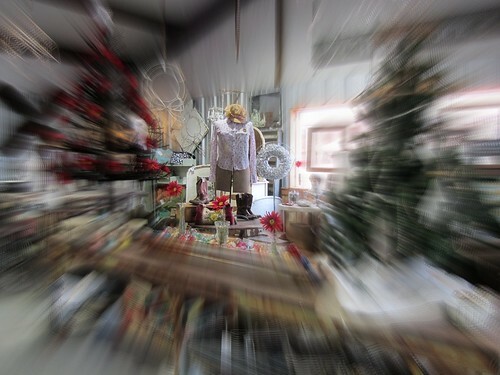 Your photos are pure perfection and I see all kinds of treasures...LOVE THE LAMPSHADE TREE TOPPER! Thank you for stopping by and I love your comments they always pull at my heartstrings! 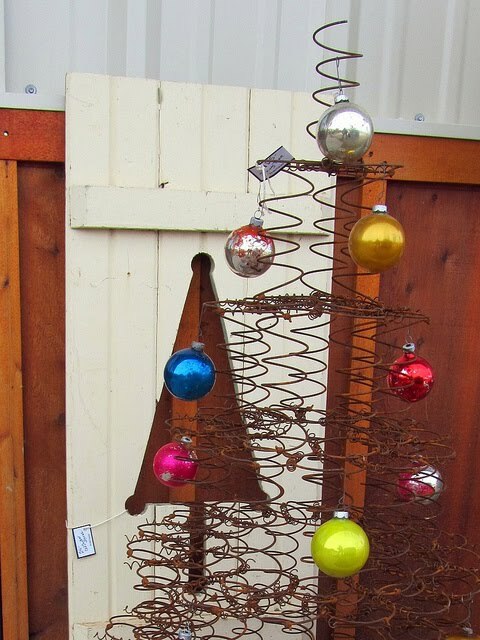 I see you got a spring christmas tree to! I love those, I made some and thought I was smart cause I hadn't seen any on the blogs! Oh well a girl can dream that she is creative! lol! The shop look great! Everything looks great. I'm in love with your tree! To die for topper! 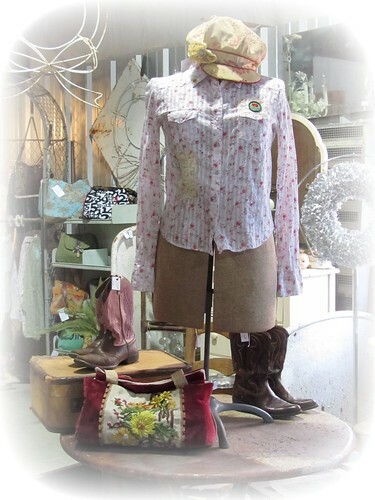 And Miss RedNeck has some adorable items too, I love the blouse and boots. LOLOL I love it when you shop. Oh, and when you play... Mindy - that all looks SO fantastic!!! That shudder should be in your dining room window. 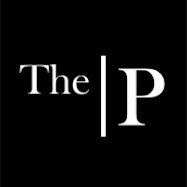 "Playin' at The P"... that needs to be your official status! 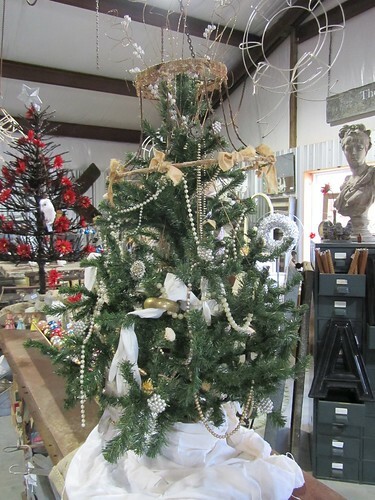 I just love the lamp shade tree topper!! Love it Girl! You and the Rob are definitely rockin it! Merry Christmas! So enchanting. I love your stuff. Happy Holidays!